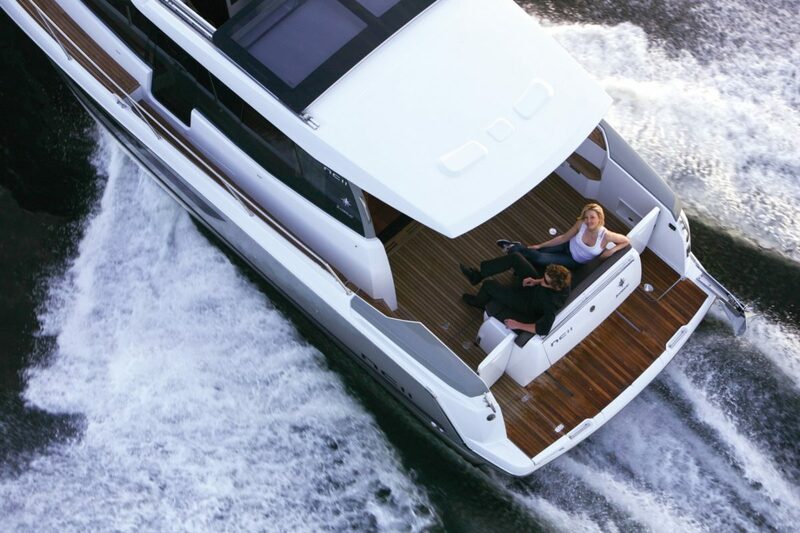 Designed by Garroni and Premorel Concept, the NC11 is a totally new take on space and life aboard. 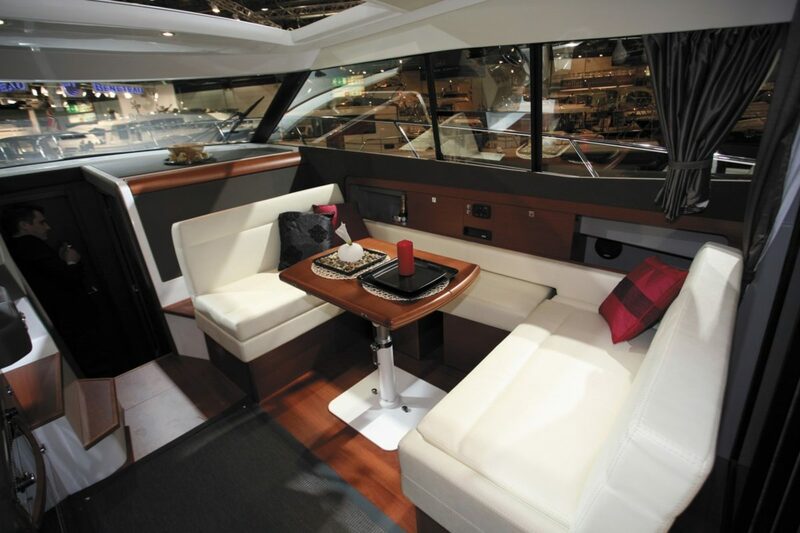 Her bright natural lighting and excellent ventilation bring you closer to the elements. 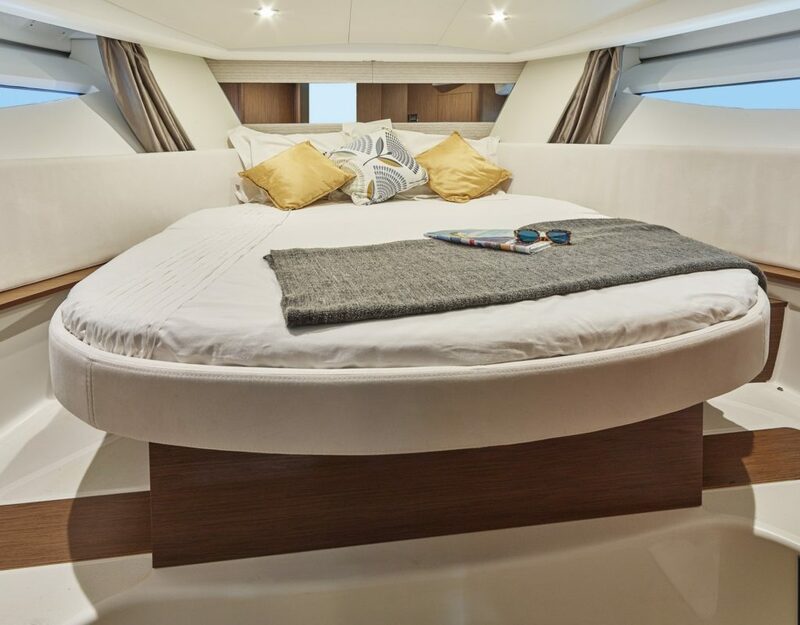 The NC11 has copilot bench seating in the deck salon, recessed side deck that services the modular cockpit and the helm station, 2 very beautiful cabins with head and separate shower compartments, and 2 large storage lockers. 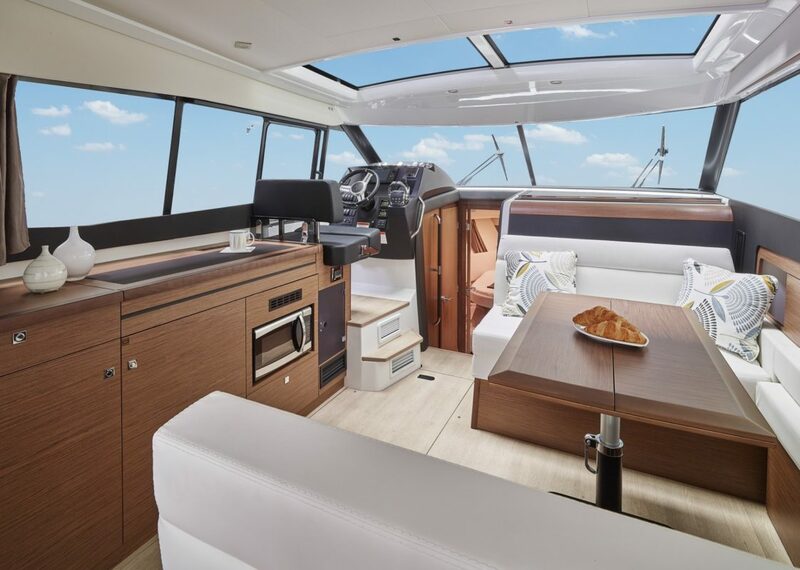 Contemporary elegance is complemented by this beauty’s total transparency and seamless space. 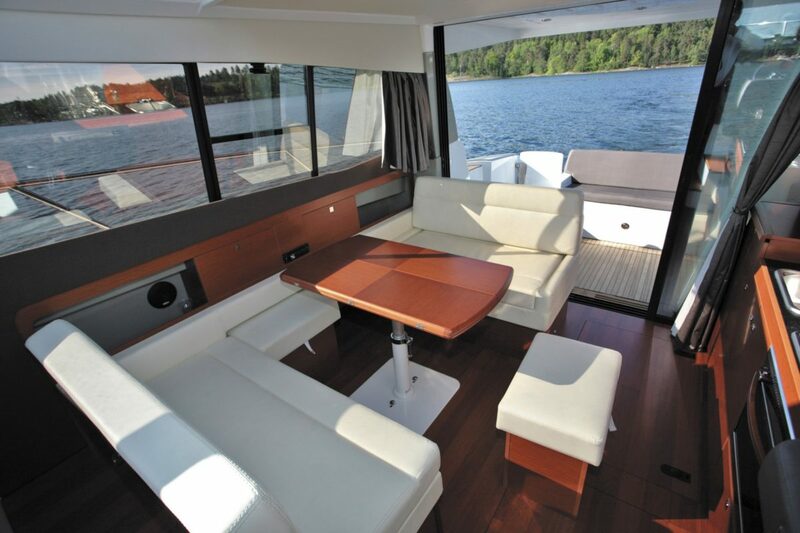 Her modular internal features are restrained and comfortable: cabins, huge bathroom, salon, storage…and more. 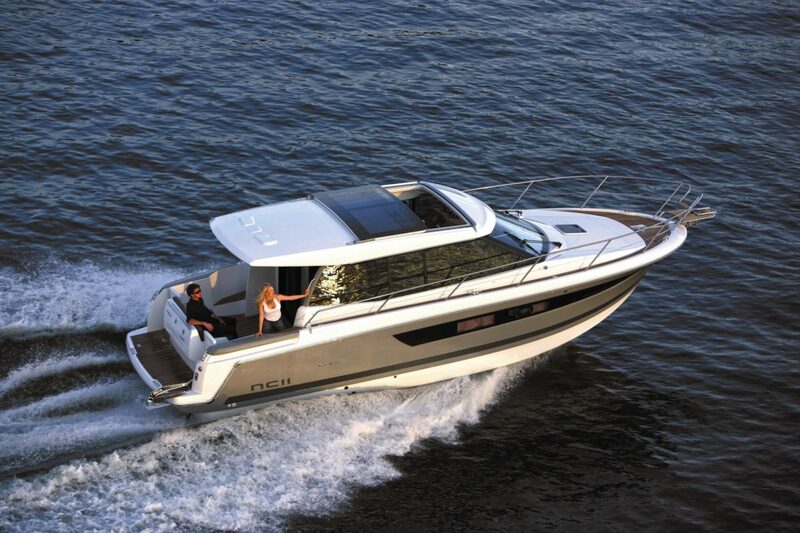 Sterndrive transmission and carefully-chosen engine power are responsible design features. 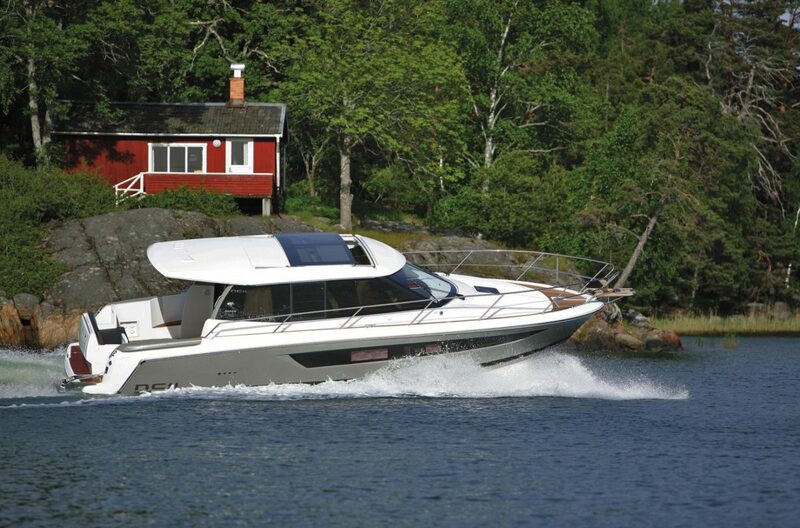 The NC11 has a panoramic view and a fully equipped helm station which make coastal cruising easy and enjoyable. Z-drive twin engines make it even better.